This Sunday, Cartoon Network’s Adult Swim is getting ready for the eighth season of Seth Green’s hit stop-motion sketch comedy series Robot Chicken with a pre-season special! 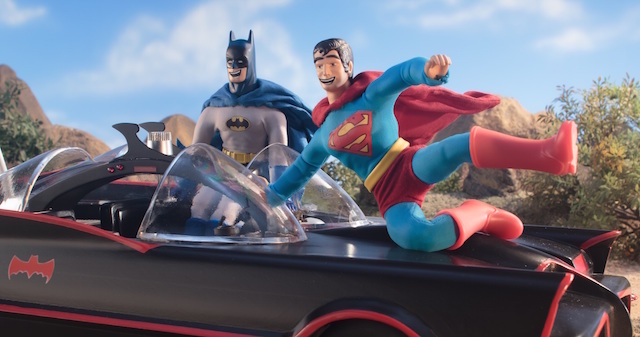 Robot Chicken DC Special III: Magical Friendship features the full cooperation of DC Comics’ Chief Creative Officer Geoff Johns and boasts the return of Adam West and Burt Ward as Batman and Robin. This Robot Chicken DC special pokes some fun at the “World’s Finest” pairing of Batman and Superman in advance of next year’s big screen showdown, Batman v Superman: Dawn of Justice. There’s an overarching plot to the Robot Chicken DC special that involves the characters traveling throughout the DC multiverse. Johns, who has been at the center of DC’s comic book continuity for years, has recently expanded the DC multiverse with projects like The Flash TV series and the upcoming DC Cinematic Universe Batman film that he’s co-writing with director and star Ben Affleck. The DC multiverse has recently been explored in a number of forms, including the comic book summer crossover “Convergence” and on recent episodes of The Flash. The Robot Chicken DC special also samples from the DC multiverse with the return of Adam West and Burt Ward. DC has recently been continuing the adventures of “Batman ’66” with a comic book series and is also planning to have the iconic pair — who are about to enter the Guinness Book of World records for their 50 years of working together — return for an animated Batman home entertainment release. Full of incredible anecdotes, Ward recalls one of his first public appearances after the “Batman” series premiered in 1966. Today, however, Batman is one of the most recognizable fictional characters in the world and, to Johns, the enduring legacy of hope and inspiration is part of the appeal of the DC characters. 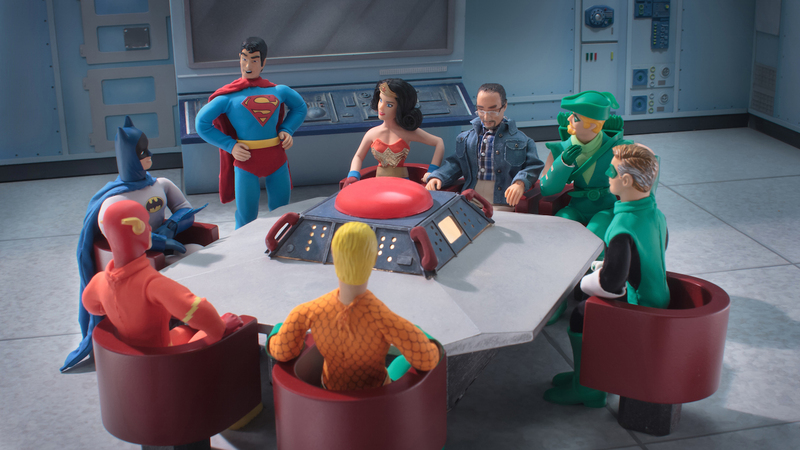 The Robot Chicken DC Comics Special III: Magical Friendship premieres October 19th at Midnight (ET/PT) on Adult Swim. One week after that, Robot Chicken will return at the same time for it’s eighth season premiere.